Weight loss doesn’t happen just by running on the treadmill, nor is it simply cutting calories. Losing weight in a healthy way – and keeping it off -involves doing the proper type of exercise for your body and eating the right foods for your body. And on top of that, it’s often necessary to correct hormonal imbalance that contributed to your weight gain in the first place, and also to improve the health of your digestive system. Holistic approach. Losing weight often requires a combination of dietary changes, exercise, being mindful of your relationship your body, and managing stress. Healthy eating. Too much consumption of starch and sugar is a common contributor to weight gain. 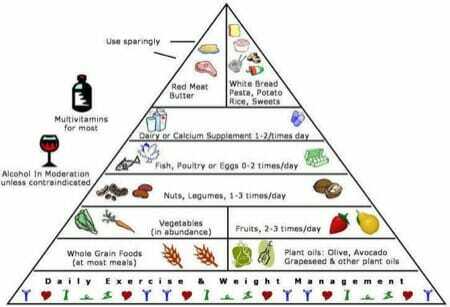 Instead, people often need to go on a healthy weight loss meal plan and get more protein and healthy fats. Hormonal imbalance. For people who really struggle to lose weight, there’s often a hormonal imbalance as well, such as a thyroid issue. For women, elevated estrogen is a common issue. Healthy weight loss. When you get on a good exercise plan coupled with healthy eating, you can expect to lose anywhere from 5-20 pounds in the first 3 weeks, depending on how much you need to lose. After that, about 2 pounds per week would be possible for someone who sticks to the plan. You could lose more with a crash diet, but you’ll probably throw your hormones out of whack, your mood may be affected, your blood sugar regulation, and it may slow thyroid function down. All of this will contribute to you gaining the weight back again very quickly. Exercise tracking. You can get wearable technology that keeps track of how many steps you’re taking in a day and how many calories you’re spending. It’s a good motivator for people to say okay, today I did 5000 steps, tomorrow I might do 6000. You can even enter into a contest with other people in different parts of the world or with your friends. Digestion. By paying attention to digestion and your gastrointestinal tract and creating a healthy gut bacteria-flora balance through the use of probiotics, you’ll make it easier for your body to lose weight. Emotional eating. It’s very important to practice mindfulness as it relates to what you eat. Why do you reach for a donut instead of an apple? If you can learn to think about your eating habits, you can make better decisions. If you’re looking for a Toronto weight loss clinic, contact our receptionist at 416-792-4400 or by using the form below and she will book you for a FREE 15-minute phone or in-person consultation with one of our practitioners.